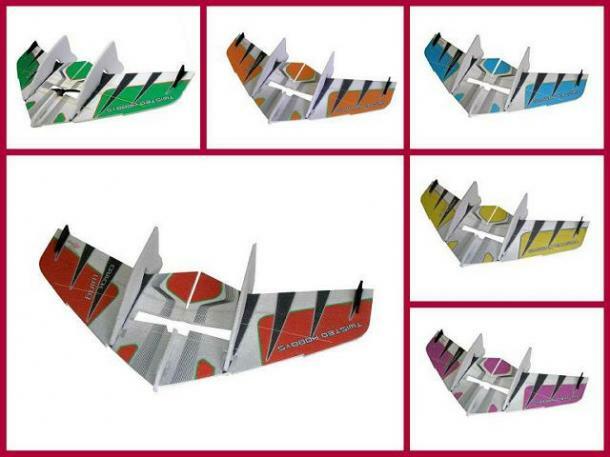 Introducing together with Twisted Hobbys all-new 30” EPP Crack Wing! This 3D capable combat indoor/outdoor wing is ready for fast-paced aerobatics, fun combat, and spur of the moment flying with minimal investment. 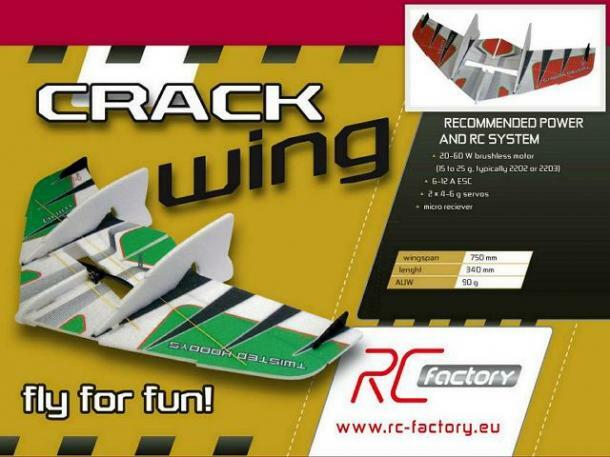 The Crack Wing's huge fins make for exceptional stability in low speeds, as well as easy and exciting vertical take-offs from any surface. Like all of Twisted Hobbys and RC Factory foamies, the low weight and durable full EPP construction make this airplane perform great while remaining incredibly durable, all without breaking the bank. The Crack Wing boasts a wide speed range and quick construction, making it an ideal spec combat plane or just a bunch of no-frills fun for pilots of any skill level. Available in several color schemes.